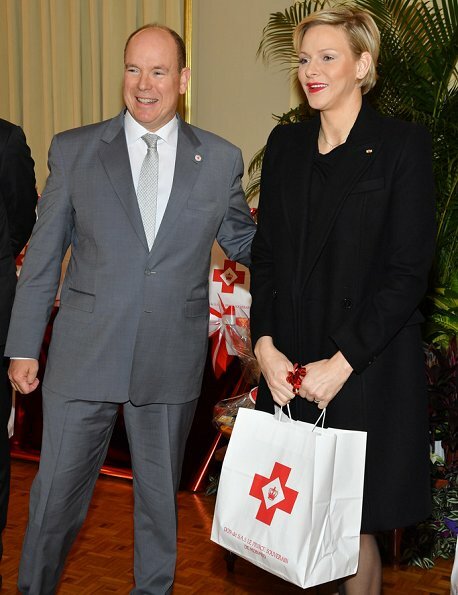 Prince Albert and Princess Charlene of Monaco currently attends various events before celebrations of Monaco National Day 2018. 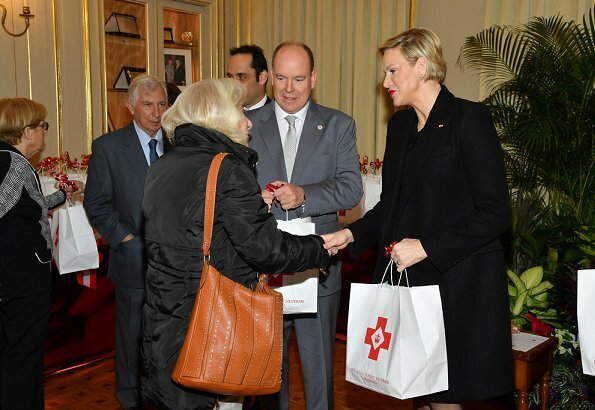 On November 17, 2018, Prince Albert and Princess Charlene of Monaco visited the Red Cross Centre (Ans Croix-Rouge monégasque) in Monte-Carlo, and distributed gifts to beneficiaries of the Monaco Red Cross on the occasion of the national holiday. 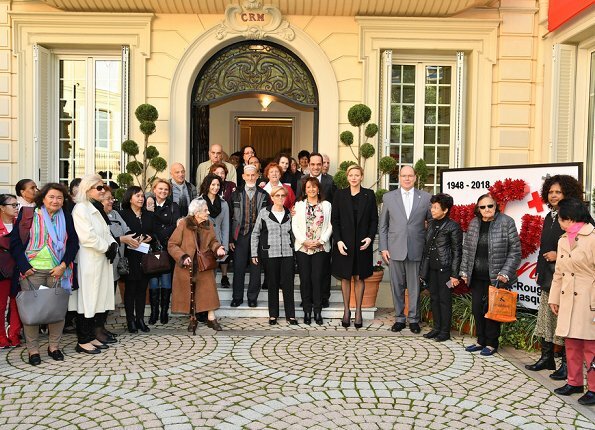 The National Day of Monaco also known as The Sovereign Prince's Day is currently annually celebrated on 19 November. Charlene wearing a lot black outfits lately! Jolie Charlene,souriante,tout de jour vêtu avec un très beau rouge à lèvres. Elegant but I'd like to see a bit more colour or lightness. Very nice ensemble today, Charlene looks classy, love her hair and makeup too.Nice to see her at this annual event. Total black look especially for that event,it's not so professional. Great except for the too bright lipstick. Magnifique Charlène!je suis une fan et le geste pour la croix rouge Monégasque. Splendide tenue! ils ont l'air très heureux. bientôt l'anniversaire des jumeaux. Wonderful outfit. She looks fresh but Her makeup looks bad. Princess Charlene, has worn too many black outfits, it make look her older. She is gorgeous and likeable! Princess Charlene's outfit is certainly beautiful, but would it not have been better to wear something less formal and grand to the handing out of gifts to the less fortunate? Her eye-make is also too light and her lipstick too bright. wou , ze ziet er weer mooi uit ,als van ouds, en d,r haar ook goed , alles staat haar !!! en albert had ook een mooi kostum aan. genoten van de mooie foto,s!!! !